Developed by Infront Sports for Windows. 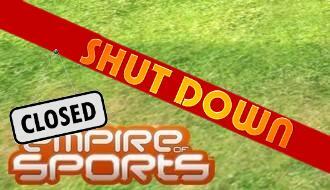 Empire of Sports is an online multi sports MMOG. 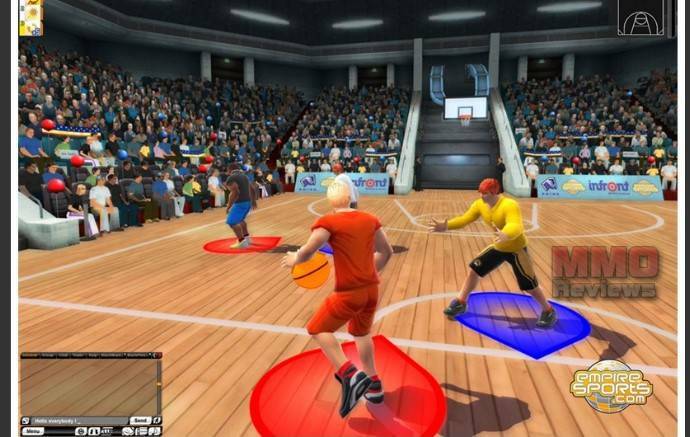 The game offers the ability to play as an athlete in a fictional world where only the worlds of sports are of interest. Your character will need training and practice to succeed in specific sports, at the beginning he will be generally healthy but not very skilled in any sport. The more practice your character receives, the higher the achievements he can reach in different areas of sports, depending on his abilities. There are no fixed classes in Empire of Sports, depending on how different muscle areas are trained and how much experience you have in different sports, your characters performance may vary. The goal of the game is to become a star and maybe even dominate the sports world with your club. - Ski; Ski downhill through every gate, with high speeds and traitorous turns. A range of difficulty settings in a combination of high speeds on the straights, and control in traitorous turns. Hold on to your helmet, it’s a long ride down! - Tennis; Its unique gameplay makes it extremely reactive, technical, but still loads of fun by being easy to handle. Challenge your opponents on synthetic, grass or dirt, and see who will bite the dust! - Bobsleigh; The Empire of Sports bobsleigh is designed to bring you maximum realism, where the slightest touch on the side will make you lose precious seconds. Be precise, be accurate, but most of all, be fast! Compete on famous tracks such as Lake Placid or Cortina! Throw yourself on the ice in a Skeleton, a two man or a four man bobsleigh! Will you make it down in one piece? - Football; Football is one of the three team sports in the world of Empire of Sports. Here you will not only depend on your own skill and physical traits, but also on the performance of your team-mates, and your ability to play as a group. Get ready for the kick-off! - Basketball; This dynamic discipline will call for good footwork, and loads of strategy. Not only will your own abilities come into play, but so will your team-mate’s if you want to sink that shot! Now pound the boards, and slam that competition! - Track and field; Rush through the 100m race, fly across the 110m hurdles, reach for the horizon in the Long Jump, or land a hop, skip and jump in the Triple Jump! The Track & Field will require speed, skill, and strength combined in an explosive combination of events! Joining a club offers many benefits and opportunities - Sporty activity on a regular basis, access to knowledge of experienced players, and sometimes even an almost family like atmosphere. You will discover that a club greatly enhances your experience while playing Empire of Sports. You can meet friends, share enjoyment, and find people to play with you. Typically, players in good clubs can achieve very high places in the ranking, and at some point a certain amount of prestige will come along. The games cities are essential places to chat, share items and tactics, as well as finding new friends, building clubs and having fun while going on a shopping tour! From the ashes of the cities of the past, even bigger cities have been built; Their streets are always filled with athletes, their districts, buildings and places are all dedicated to one unique and common objective: sport. Games with nothing to loose are nice for practice and fun. But in order to feel thereal excitement, serious competitions are needed. There are several possibilities of playing sports in Empire of Sports, as sporty activity knows various ways to present it self. Looking for more Free MMO sport games,Free MMORPGs,Free MMOs games?